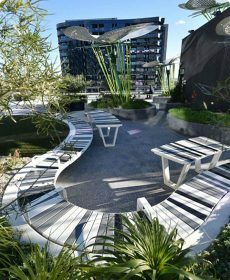 The Victorian Comprehensive Cancer Centre was recently awarded the 2018 National Landscape Award in the Gardens category. Rush\Wright Associates are very proud to have assisted Plenary Health, Grocon-PCL and the State on the delivery of this major research and health care facilility for Victoria. Image by John Gollings. 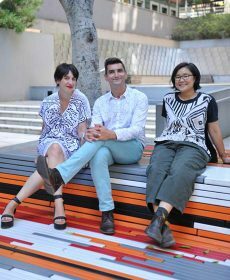 The Immigration Museum Activation Project was a small but significant opportunity to reconsider the underutilized rear courtyard of the Museum. Operating on a “pop-up” budget, our aspiration was to bring the vibrant stories that are told inside the Melbourne Immigration Museum outside. Image by Chris Erskine. The new Earth Sciences Garden at Monash University’s Clayton Campus is complete and open to the public. 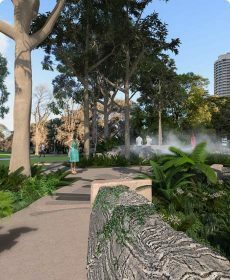 This garden was created to showcase key features of the geology and geomorphology of Victoria and to establish an outdoor teaching laboratory for the study of Earth Sciences at Monash. Image by John Golling. The construction phase of the Victorian Emergency Services Memorial project has commenced and we look forward to seeing the project realised later this year, in collaboration with CFA, VicSES, City of Melbourne and PTA Landscapes. 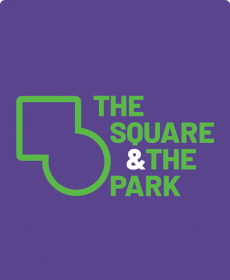 Australian Institute of Landscape Architects (AILA) has recently announced Cassandra Chilton (Rush\Wright Associates) as one of three people appointed as the Creative Directorate for THE SQUARE AND THE PARK: 2019 INTERNATIONAL FESTIVAL OF LANDSCAPE ARCHITECTURE. We were honoured to receive The AILA 2018 National Landscape Award, for not 1 – but 3 Awards in the categories of Gardens, Small Projects and Civic Design.